Think about your perfect Easter brunch. I have the biggest weakness EVER for this time of year, and it rivals even the pumpkin coffee, velvety flannel shirts, wood-burning, leaf pile-jumping bliss of a New England autumn. Spring? That’s what we wait all year to enjoy. It’s rainbow marshmallows, chocolate rabbits, white linen, baby bonnets, spring dresses, and more. My mom has historically made it special, with her antique bunnies, her love for marshmallow chickens, and her farmhouse kitchen table – often inhabiting 10-20 party guests. The pastel linens come out, the brunch casseroles are served, and there’s a gorgeous pitcher full of brunchy beverage goodness. 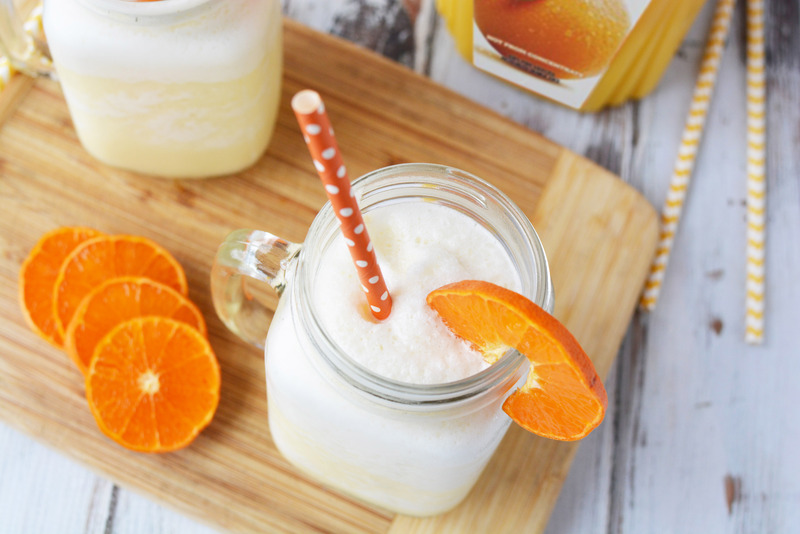 It’s like a cold, drinkable orange creamsicle with just a little party fizz. You will LOVE it for brunch. When I think about March, April, and even May, my mouth waters for chocolate eggs, baked hams, and my orange slush drink. 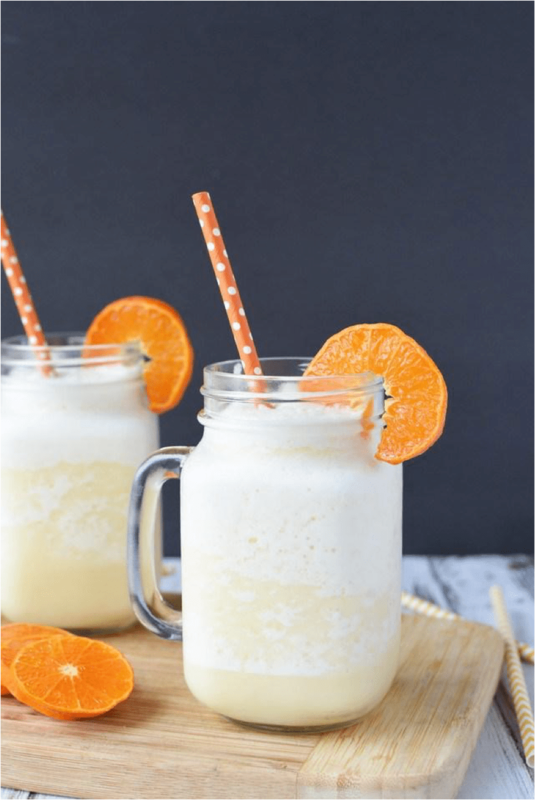 It’s festive, zesty, sweet, refreshing, and perfectly pretty for your Easter brunch spread as well. You can also serve it for any Easter meal – you don’t have to limit it for brunch. Breakfast, lunch, dinner, and all the in-betweens count too. I think my mom even served it with Easter dessert once! That was actually really special. 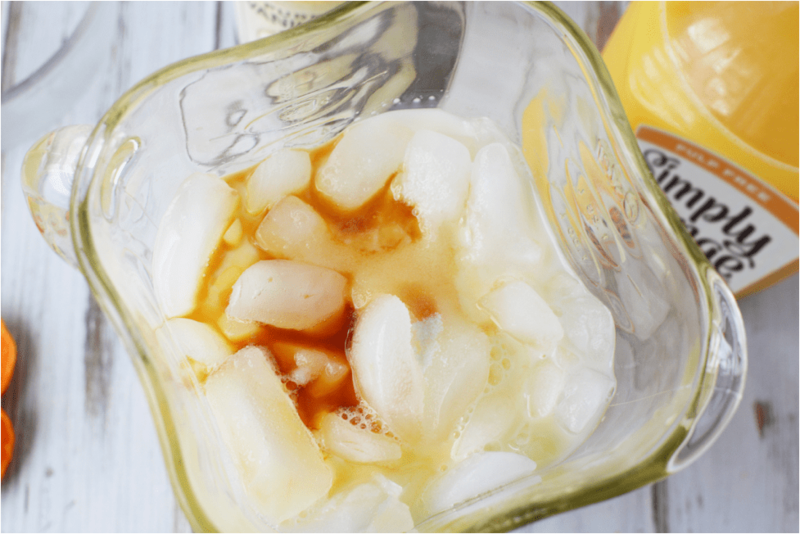 Enjoy this versatile drink all spring. 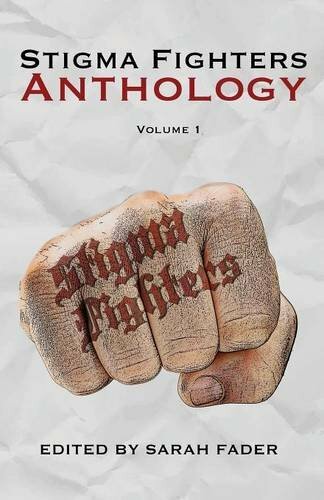 And I’d be remiss if I didn’t confess that we have it for Christmas too. See what I mean about versatile! 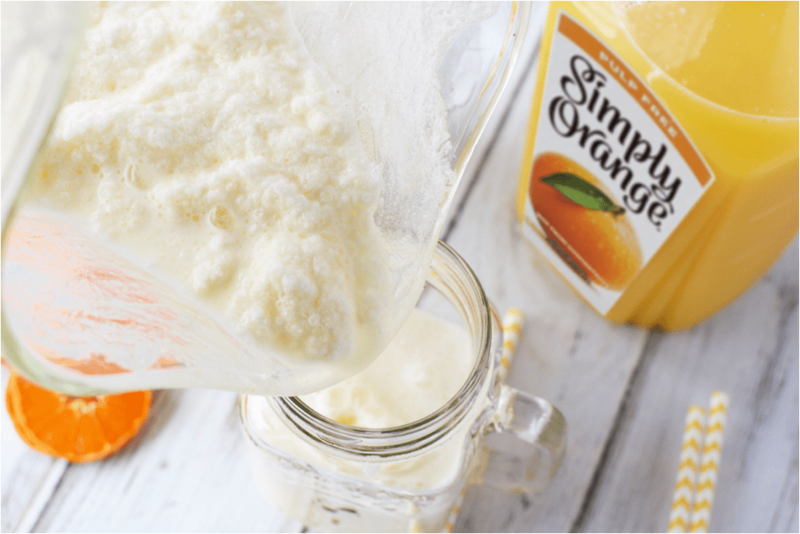 Directions:Place ice, milk, orange juice, vanilla, Sprite® and sugar into a blender. 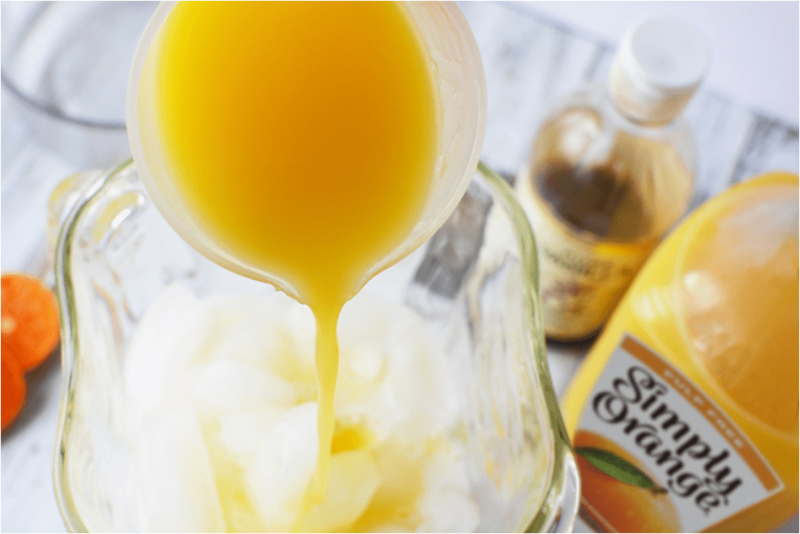 Blend well until mixture is smooth and slushy. 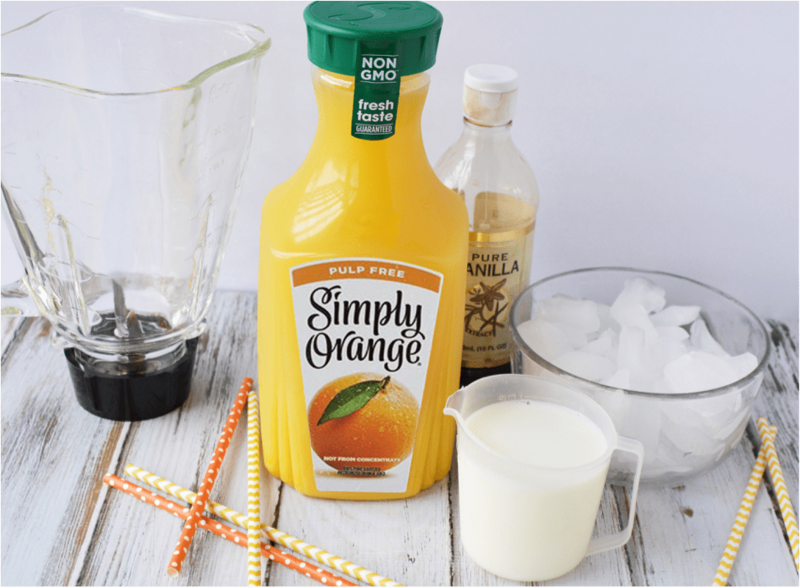 Immediately pour into cups and serve with a fun straw and slice of orange on the rim of the glass. It’s delicious! Fizzy and festive. 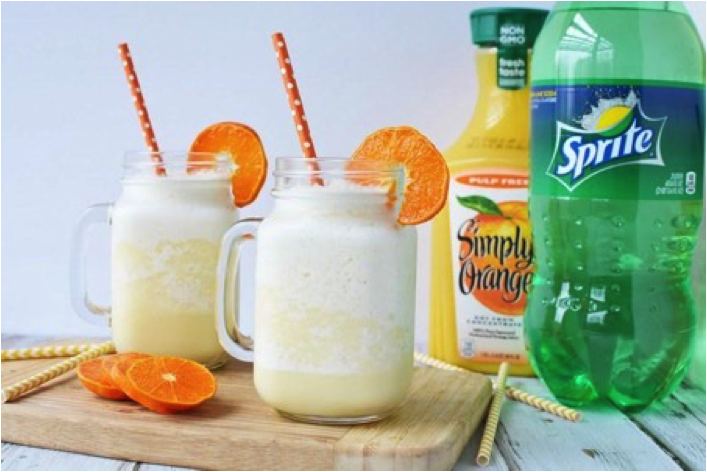 Coca-Cola beverages and Sam’s Club help to make the perfect Easter meal. You can shop at Sam’s Club for all drink ingredients. 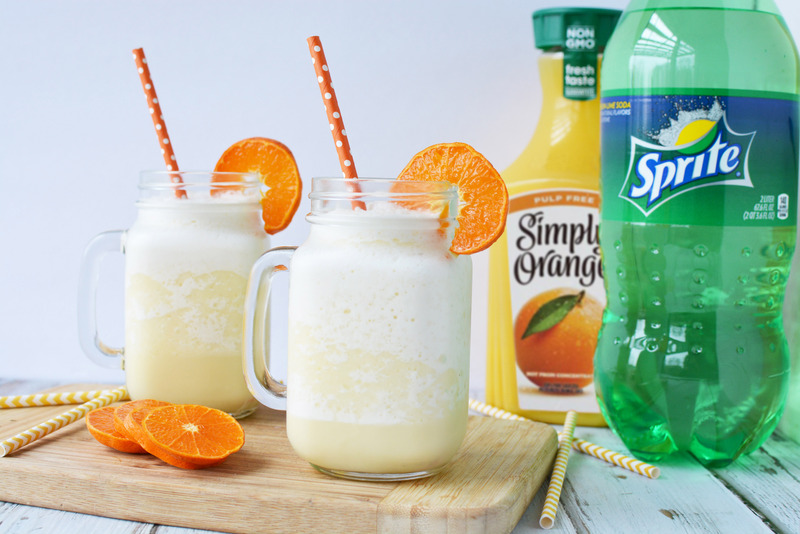 Some of our favorites are Simply Orange®, Simply Lemonade®, smartwater®, vitaminwater®, Gold Peak® Tea and Sprite®. 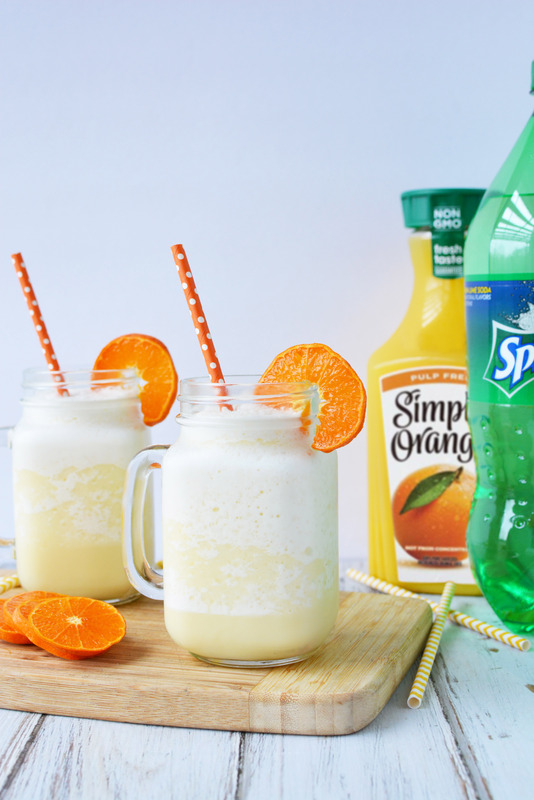 For a non-fizzy drink, you can skip the Sprite®, and make sure your Simply Orange® takes center stage. Either way is delicious! It’s not too soon to think about your perfect Easter meal. Sam’s Club is my place to go for holiday shopping. I take Des with me and usually go on a weeknight. When I know I need Coca-Cola products in bulk, for serving many party guests, there’s just nowhere else to go for that great value and selection. 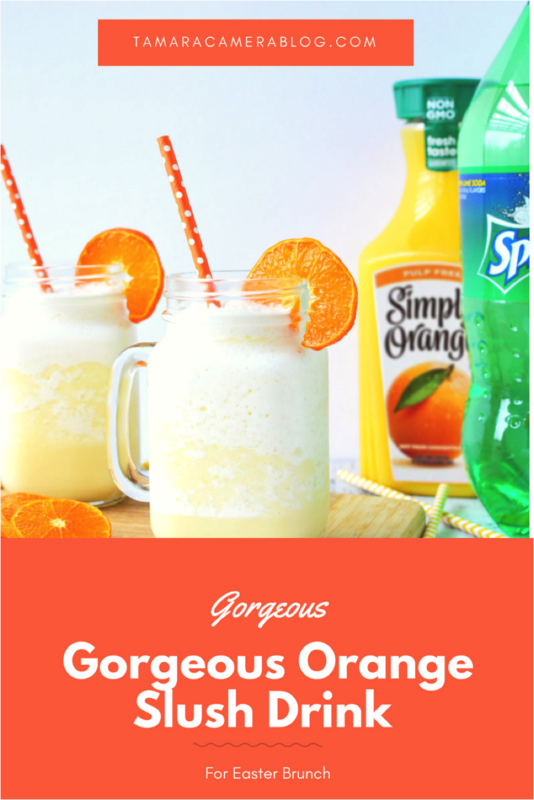 You can also make a nice beverage bar with all of their products, in addition to making a few pitchers of this orange and yummy goodness. That way you’re covering all your guests’ beverage needs – from children to adults. 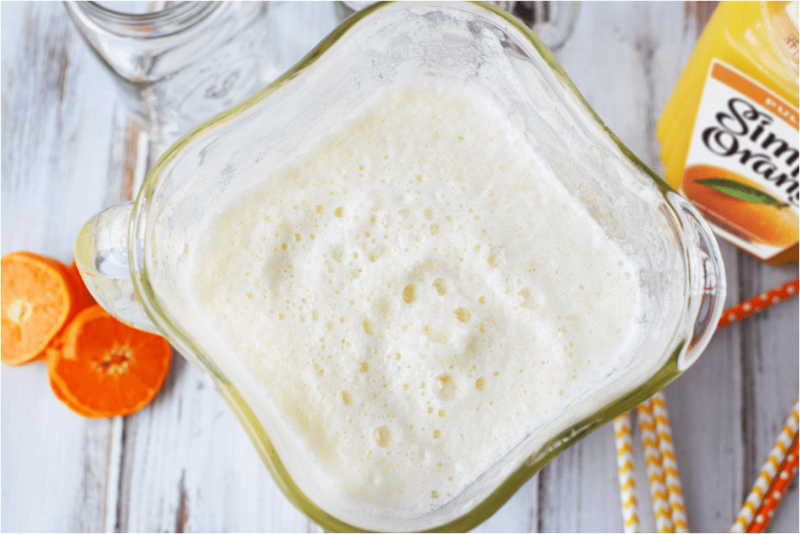 What’s your favorite drink for Easter brunch? You are definitely my blog twin today! I’m all about Easter and brunches. I made a spring time punch that was just sooooo good. I’m definitely going to be giving your drink a try, but without the sugar, I’m trying to cut back. Hooray for Spring! 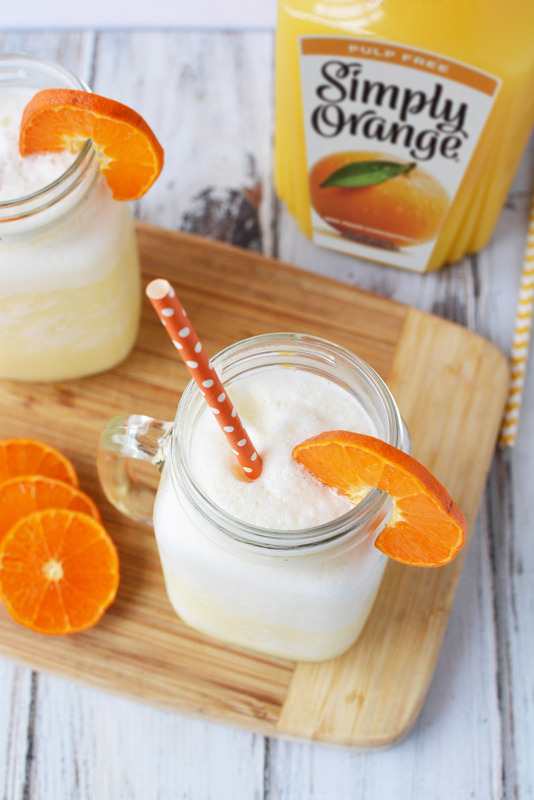 That looks deliciously refreshing for brunch or lunch any day! 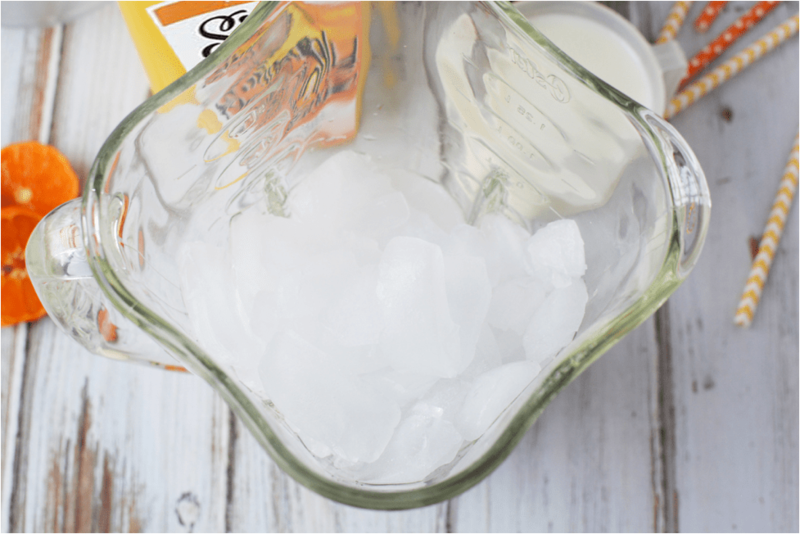 Thanks for the recipe – going to try this! 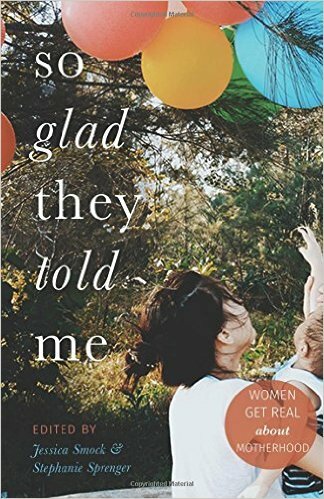 I needed something to bring to my mom’s for Easter brunch – and now I found it! These look so yummy and I can’t wait to make them. When I think of the word SLUSH I immediately think about my MOM and Crystal Light. When I was a kid, “ice cream” was ice in a blender with Crystal Light. We actually all really liked it – hahahahaha! But your version of slush just seems WAY TASTIER! I think the milky creaminess would make anything taste 50x better!